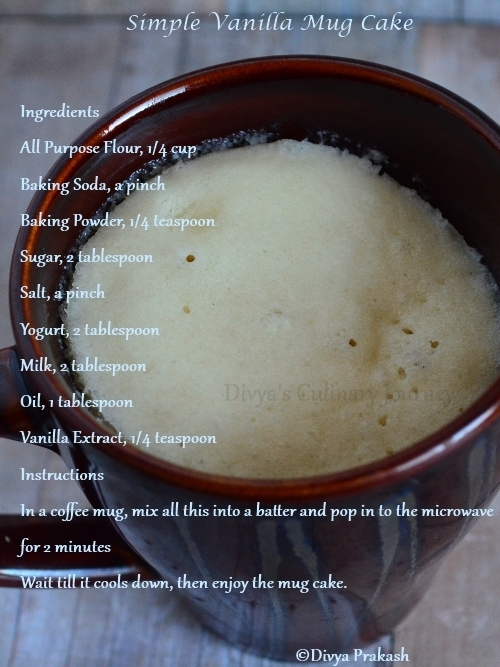 Mix all the ingredients in a microwave safe mug and microwave for 2 minutes. Then take it out and let it cool completely and enjoy the cake. 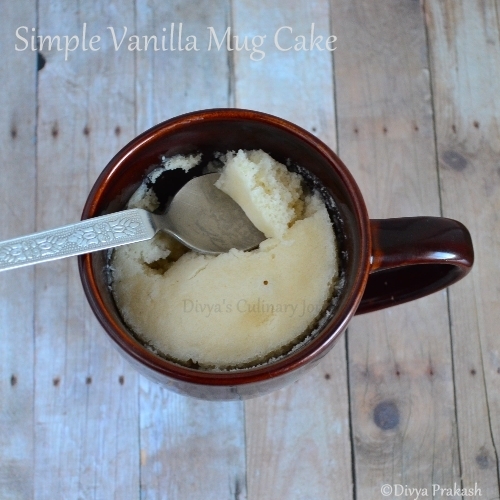 Vanilla mug cake looks delicious Divya. Congrats on your 150th post. 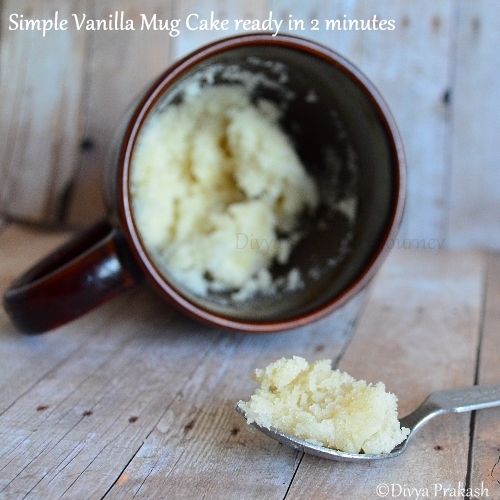 So simple and delicious!love mug cakes..
Wow awesome...my nephew asked for vanilla cake this is a good recipe..
hmmm such a lovely cake. Congrats Divya,way to go gal. Definitely i'll say that appadiye saapiduven to this cake, beautifully done. So delicious n super moist cake dear!!! Soft and yummyness in mug. Tried ur cake!! Mine was not so soft n moist!! I was craving something sweet tonight and this was awesome! I didn't have any yogurt on hand so I used cream cheese instead. It was still delicious. Definitely my go to sweet treat from now on :) Thanks! This was completely awesome. I subbed almond milk, coconut oil, used honey Greek yogurt, and halved the sugar. It turned out sooo fluffy and light and simply wonderful. Thanks so much for posting this!